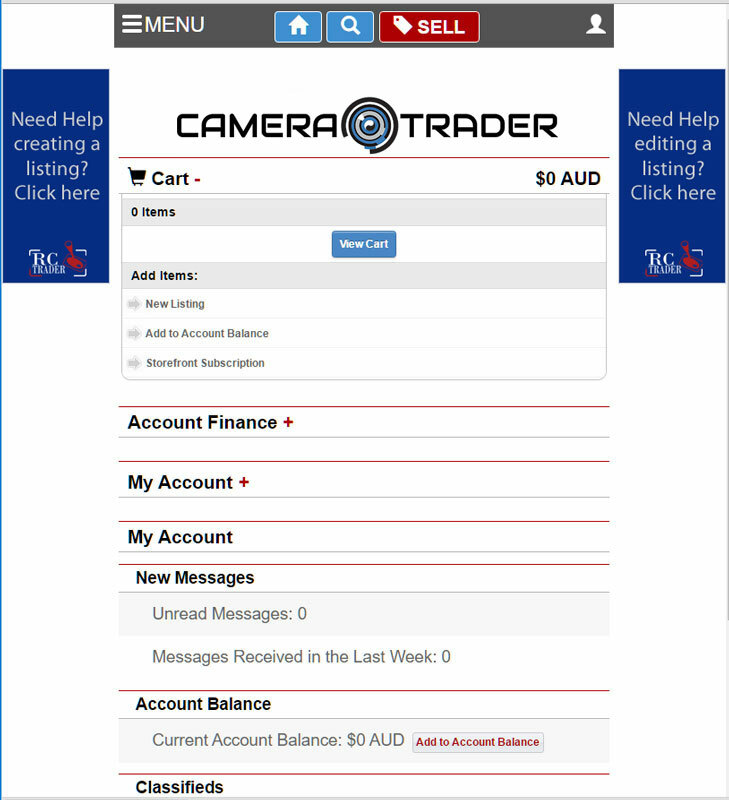 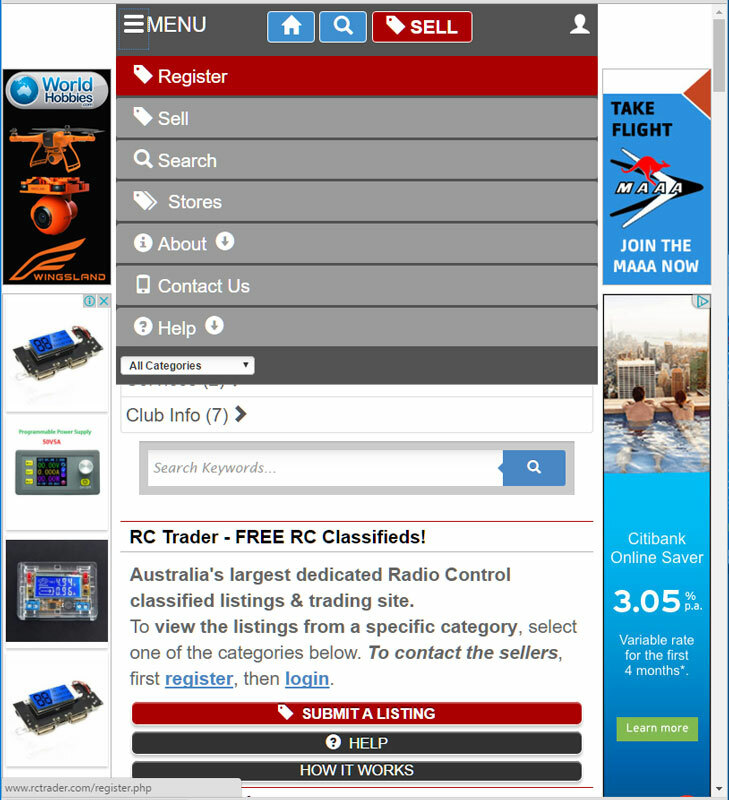 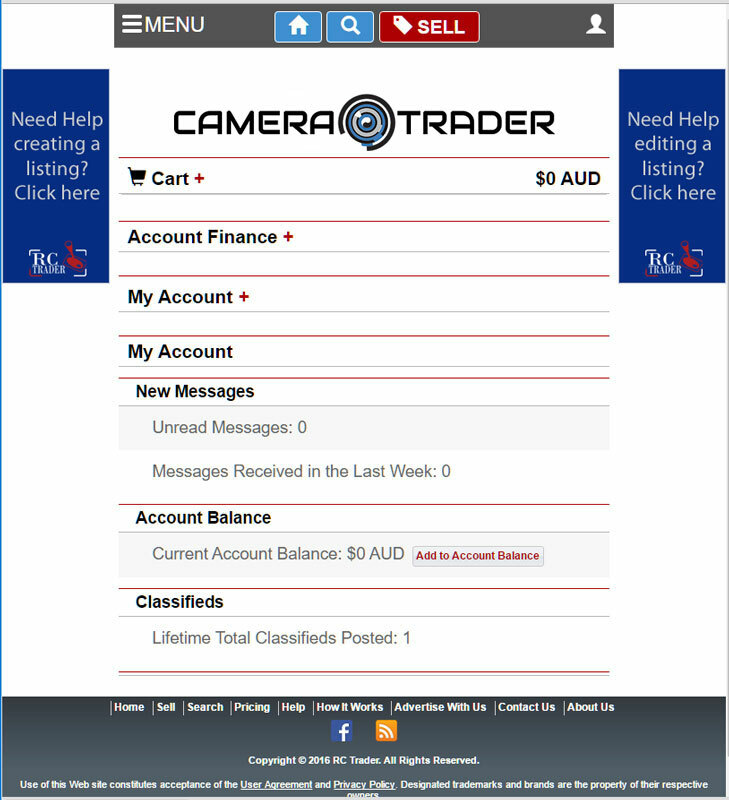 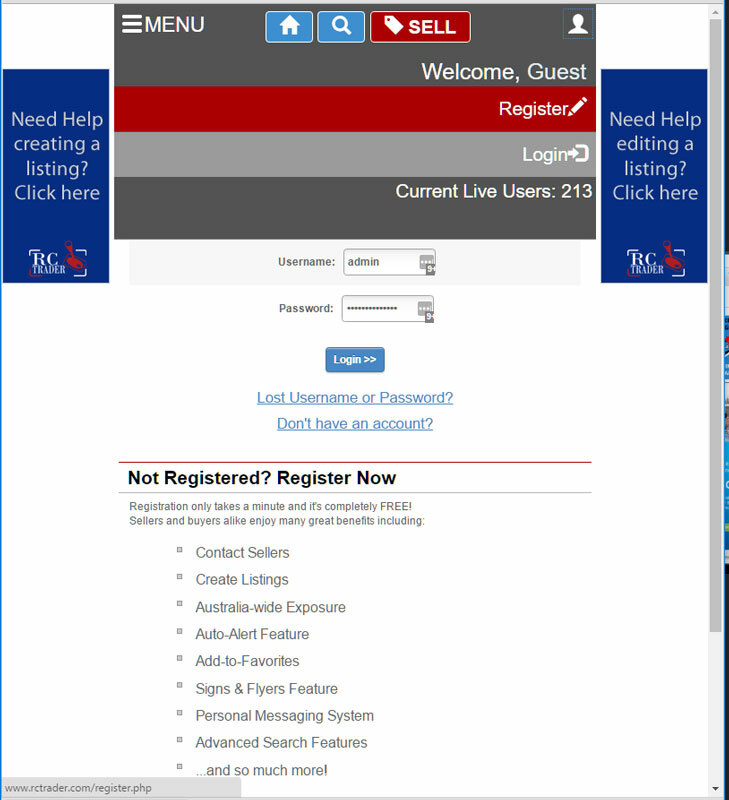 The Camera Trader website is based on what is known as responsive design. 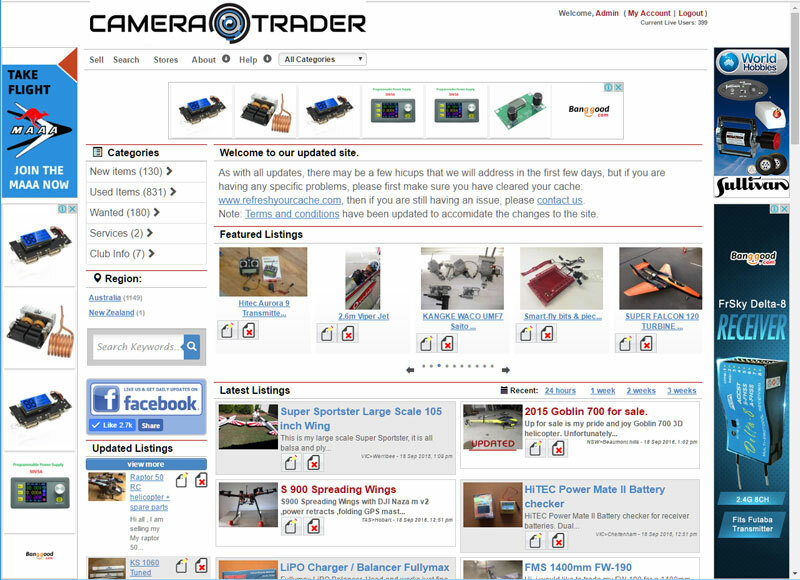 In general, this means that the page will adjust differently from one screen size to another or one device type to another. 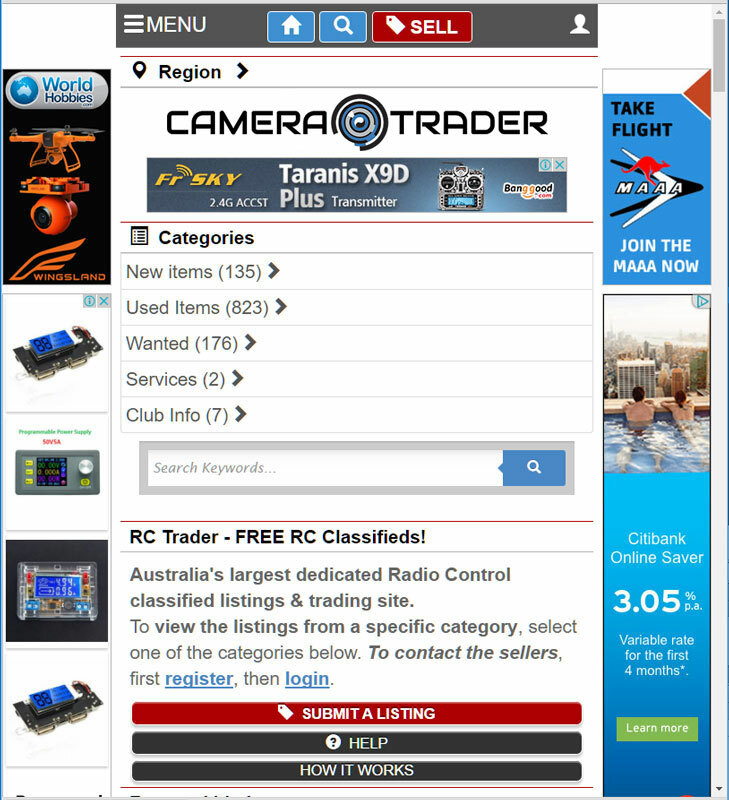 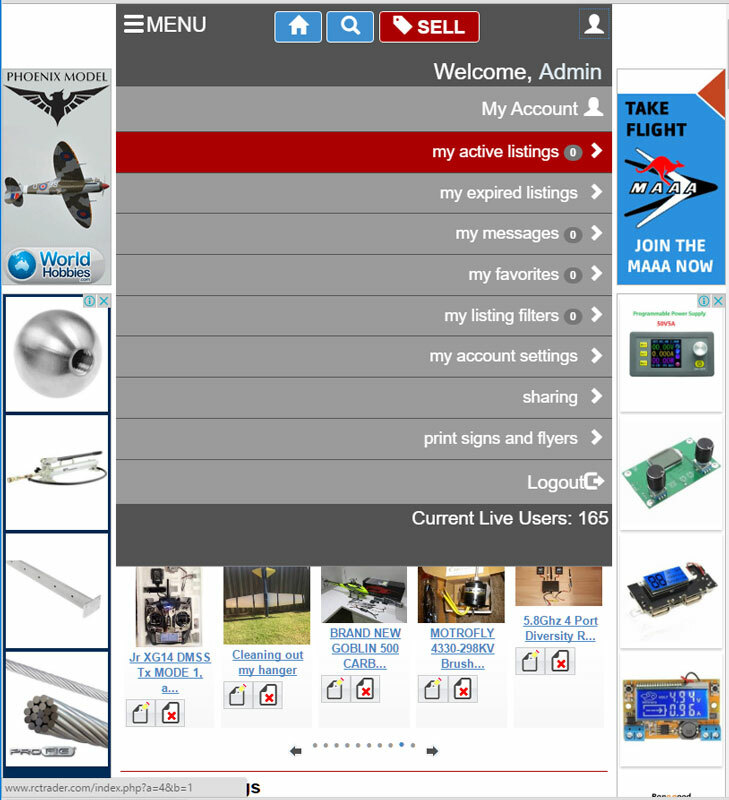 On a mobile device less than 800pixel wide it will convert to a mobile device menu system. 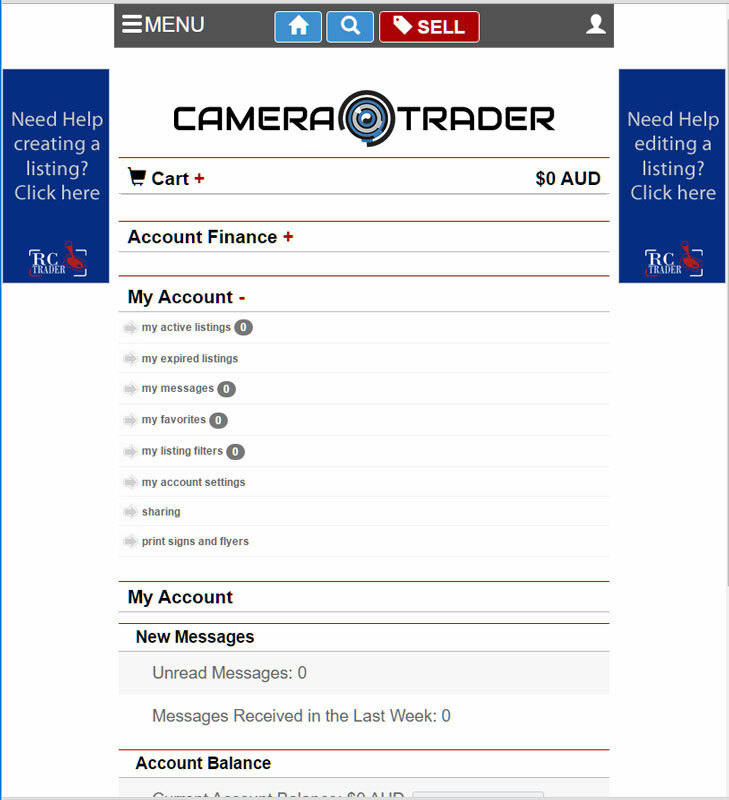 Clicking on the + sign on the right of the "my Account" headline gives you access to the My Account options, and so on.